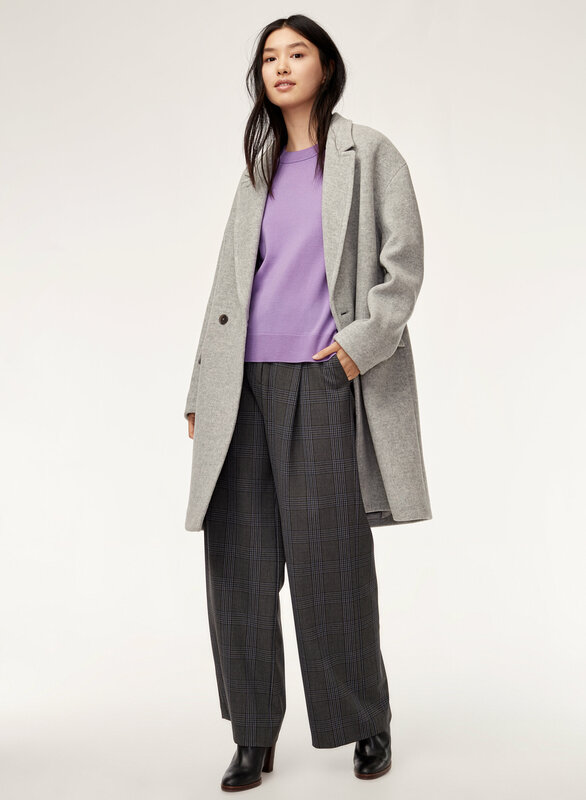 Styled with berna pant and lyon wool coat . 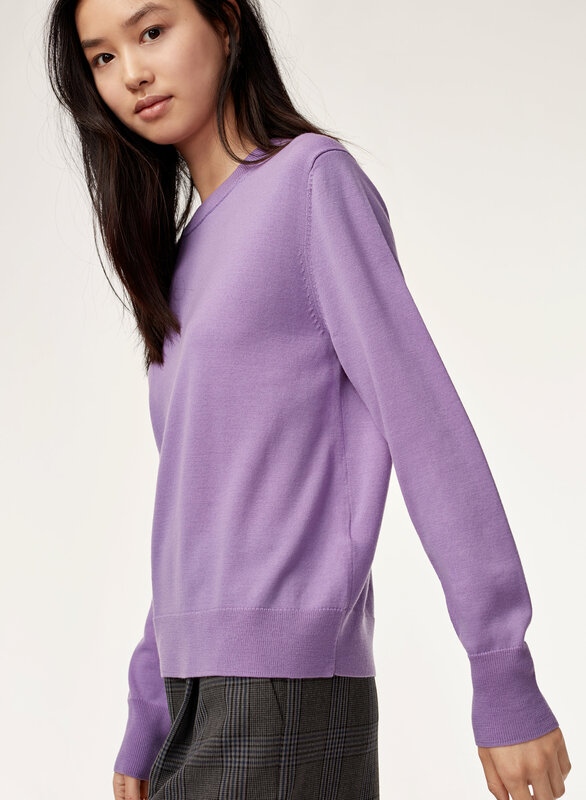 Made with 100% superfine merino wool, this pullover is soft and smooth. 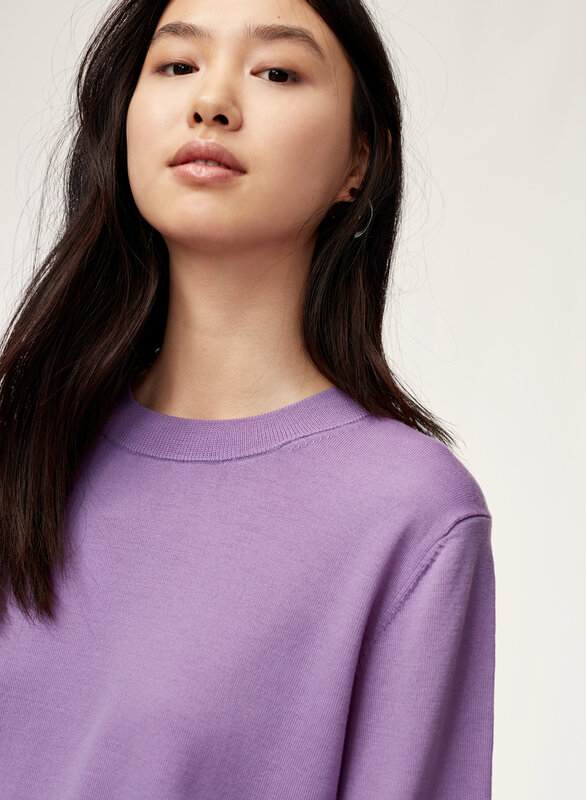 A relaxed, almost boxy fit and fine, drapey knit add an elevated, modern feel to this classic look. I’m really lazy to hand wash my clothes so I put this in the wash on the wool cycle with cold water. It shrunk a bit. I’d buy it again in a bigger size next time. The off blue is really pretty and the sweater is soft and warm. Not itchy. Unfortunately, this sweater just didn't work for me. I'm fairly tall, but this was belly-bearing for me and it's going straight back. Such a shame because it's a beautiful sweater with a wonderful weight and softness to it. Oh well, can't win 'em all. 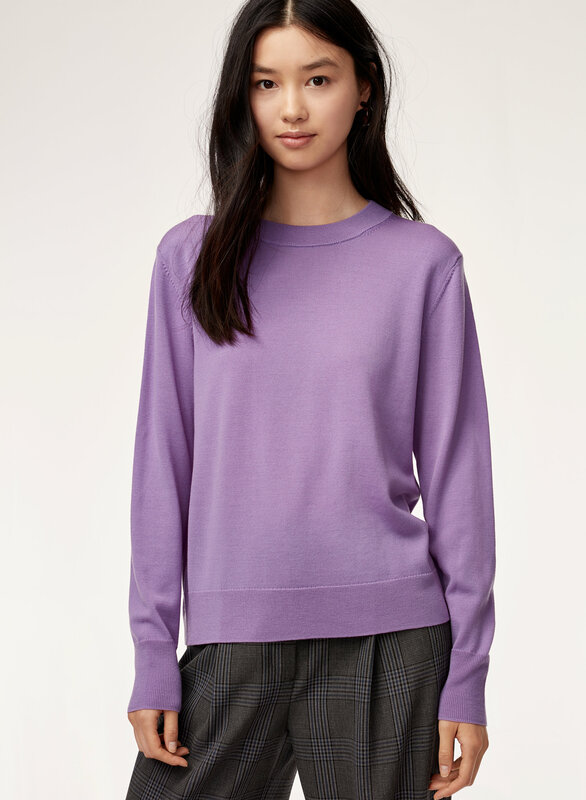 This sweater is very soft and keeps you warm all day long! 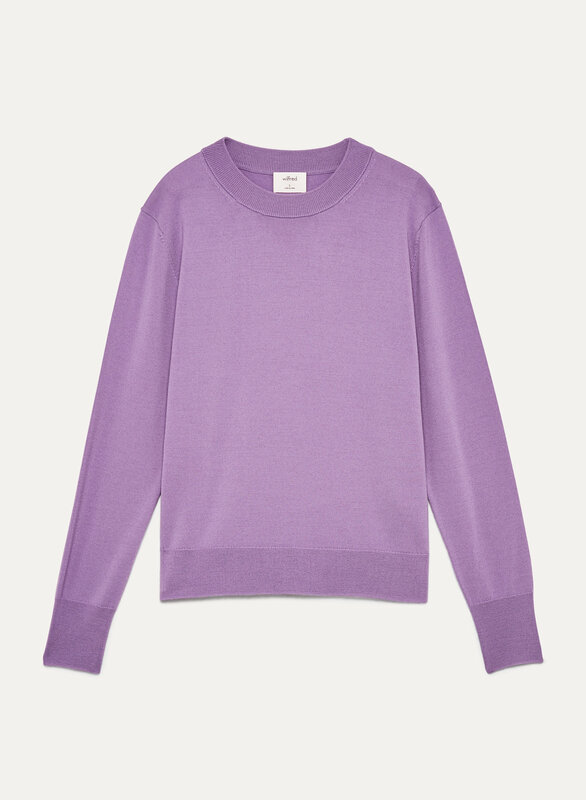 It's a great flattering colour (something different from wearing black everyday) and easy to maintain and wash. Worn it out three times now and I have not seen any pilling form. Fit is very nice, beautiful color and shape. Great quality with elegant style! Just right fitting with soft touch! Highly recommend and will buy if there is different color comes out.